Note: Proof not provided for this item. No additional customizations may be made to the Cribbage Board. No Location Marker can be added. 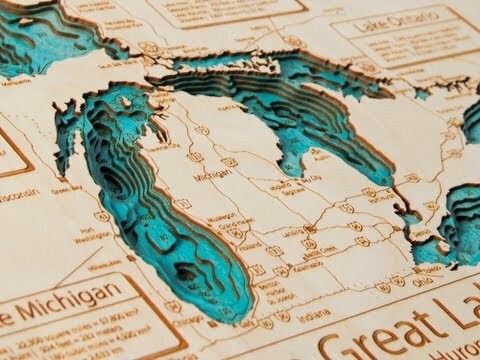 Heirloom quality cribbage board features a bathymetric representation of your favorite lake or coastal area, including roads and local details. Choose from over 6,000 maps currently available. Dimensions: 9.5" x 12"x 0.75"
I ordered this for the family camp. It is super high quality and even better than I expected. It will be treasured! My only small disappointment was that there was no hanging method added to the back of the board. It is so beautiful we'd love to hang it on the wall to display when not in use. We can add something, but it would have been handy if a hole were already drilled as Lake Art clearly has the tools.